Apparently it's Roger Ebert week at the Reader, with all manner of appreciation flowing to the erstwhile master of opposable thumb reviews. Unfortunately, all I can add to the mix is a lousy one-and-off tale, of a meeting the two of us had many years ago that I've never spoken of or written about before, at least not publicly. Only it's not really about the meeting, but ... well, time is of the essence, for me if not the critic in question, and if not now, then when? It all took place 40-some-odd years ago, in the mid-60s, before Ebert became Ebert and I became whatever I am now, at an in-state convention of college and university newspaper editors at MacMurray College in Jacksonville, Illinois. Ebert was editor of the prestigious Daily Illini and I was one of his downscale counterparts, from a teeny-tiny school along the bluffs of the Mississippi. One of his faculty handlers introduced us, in a cafeteria serving as a banquet hall, and it soon became apparent that this surly, noncommunicative fireplug individual was held in high esteem by just about everyone else present. But after the formal grunts and niceties, it was eyes to the dinner plates, the beans and potatoes or whatever. I don't think we exchanged words—or even glances—the rest of evening. What happened the next day is really what sticks in the mind though—ironically, considering our critic's latter-day reputation as a superior extempore raconteur. The convention had scheduled a debate, on the subject of newspaper censorship pro and con, to be conducted by a pair of student speakers before an editorial audience who'd vote on the arguments by sitting on one side of the auditorium or the other. Can't remember who took up the pro side—somebody from the host school, I'd guess—but arguing against was none other than my dinner noncompanion of the previous night. Well, slam dunk, right? I mean, these are college newspaper editors, they automatically resist manipulation, they demand freedom to publish any damn thing they want. Except for crypto-fascist knuckle draggers like moi, who thought—back then, I should emphasize—that administrations have power of purse, and why should they abet students bent on subverting their own institutional best interests? Just the deadest of dead letters, the arguments from principle, plus they can pull the rug out from under you whenever they want—so go, Pareto, go, and yayyy Carl Schmitt! But as the debate raged on I noticed that my side of the auditorium was gradually filling in. Because, incredibly, Ebert was losing! His opponent had managed to frame the argument in such a way that all the knee-jerk bromides the anti side could summon were immediately exposed for what they were—generalities that didn't address the specific technical issues being raised. Finally my chief editing assistant, one of the more committed anticensorship people I knew at the time, heaved a sorrowing sigh, shook his head, and slunk across the aisle to where I sat. And all Ebert could do was look dumbfounded, his a priori support trickling and trickling to the other side of the hall—or surging actually, in ever increasing billows. Give the guy a gimme, and he goes out and blows it. A couple years later when Ebert was named el primo film critic at the Sun-Times—as I recall, Galia (two and a half stars), which opened at the old World Playhouse, was the first thing he ever reviewed—the thought ran through my head "Huh? What does that prima donna know about movies?" Not that I knew much of anything myself, but of course I was playing catch-up, with double-feature doses at the Clark Theater, a revival house that changed programs daily. 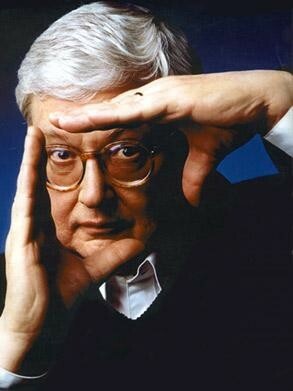 Word back then was that Ebert was doing the same. But I never saw him there.